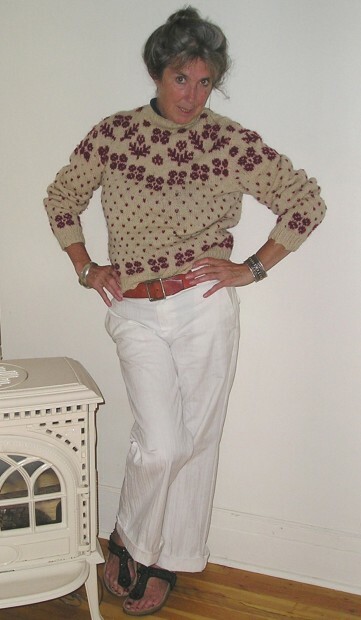 Kate McGarrigle photo Janie McG. Sorry about the delay getting this info up here. This should be a lovely show if the rehearsals are anything to go by. Special guests Emmylou Harris, Norah Jones and Mark Ronson join Martha and Rufus in a variety of songs, some by Kate, many from their own repertoires. 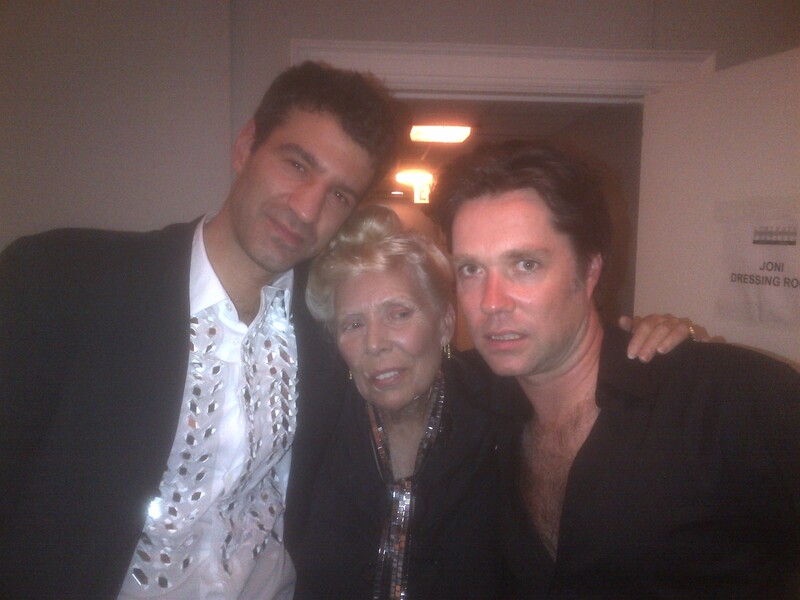 Lily is also here singing with Rufus and Martha and me! Aunt Jane and I will attempt something of Kate’s, a first for us. 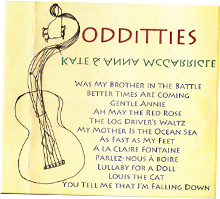 All proceeds go to the Kate McGarrigle Fund for Sarcoma Research. Would love to see you all. 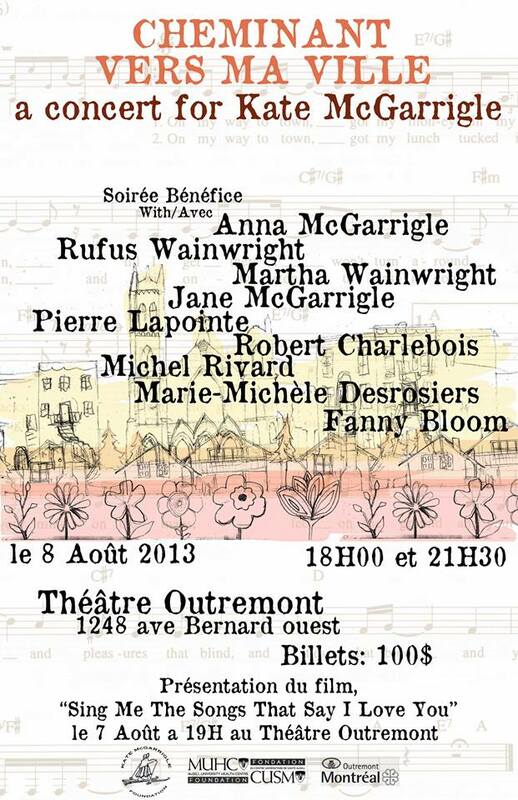 Commemoration of Place Kate-McGarrigle on Laurier in Outremont and Concerts in aid of the Kate McGarrigle Fund at Theatre Outremont. Aug 7 is the day the City of Outremont honours Kate with the opening of Place Kate-McGarrigle on avenue Laurier near Querbes. For many years, Kate was a familiar figure on Laurier and the family is very touched by this gesture. By then, the Robert Wilson chair, Kate/Nora, will be in place in the small park space now planted with shrubs and flowers that Kate liked. The ceremony is slated to begin around 1.30p.m. or 13.30 and the City is closing off Laurier so people can mill about. Later that evening, Lian Lunson’s Sing Me the Songs That Say I love You will be screened at the Outremont Theatre on avenue Bernard. 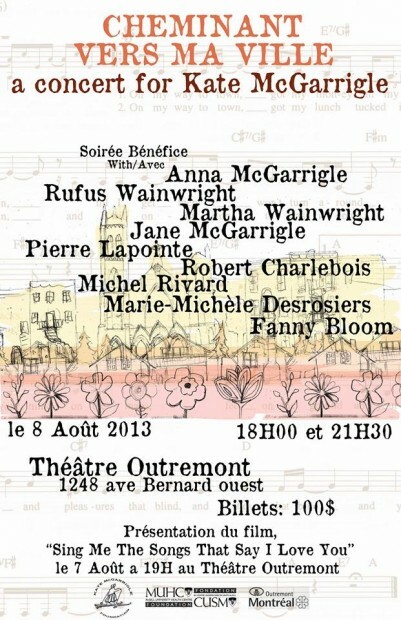 On Aug 8 there are 2 concerts, also at the Outremont, in honour of Kate and benefiting the Kate McGarrigle Fund. Special guests are Robert Charlebois, Michel Rivard, Marie-Michele Desrosiers, Fannie Bloom and Pierre Lapointe. Martha, Rufus, Jane and I are the hosts. Please come!